New court documents have surfaced revealing more definitive details about the mysterious case of Rand Paul getting tackled and severely injured by his neighbor. The attack was said to be inspired by yard debris. Please sit down, as this is going to be titillating. 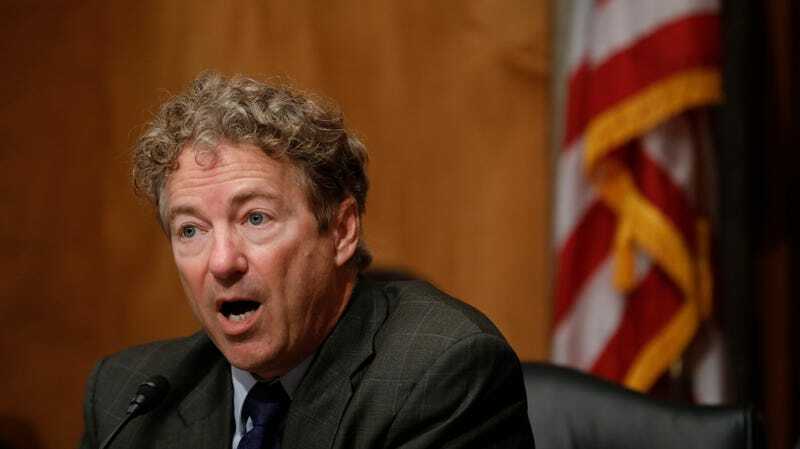 “As Dr. Boucher has stated throughout, he lost his temper and tackled Rand Paul as Paul was carrying branches from another location on his property and placing them on the property line,” the memorandum read. Boucher’s attorney denied that his client’s actions were politically motivated, and requested probation, while prosecutors are seeking prison time. He’s set to be sentenced on Friday. Maybe people shouldn’t have lawns? No more lawns, I think.